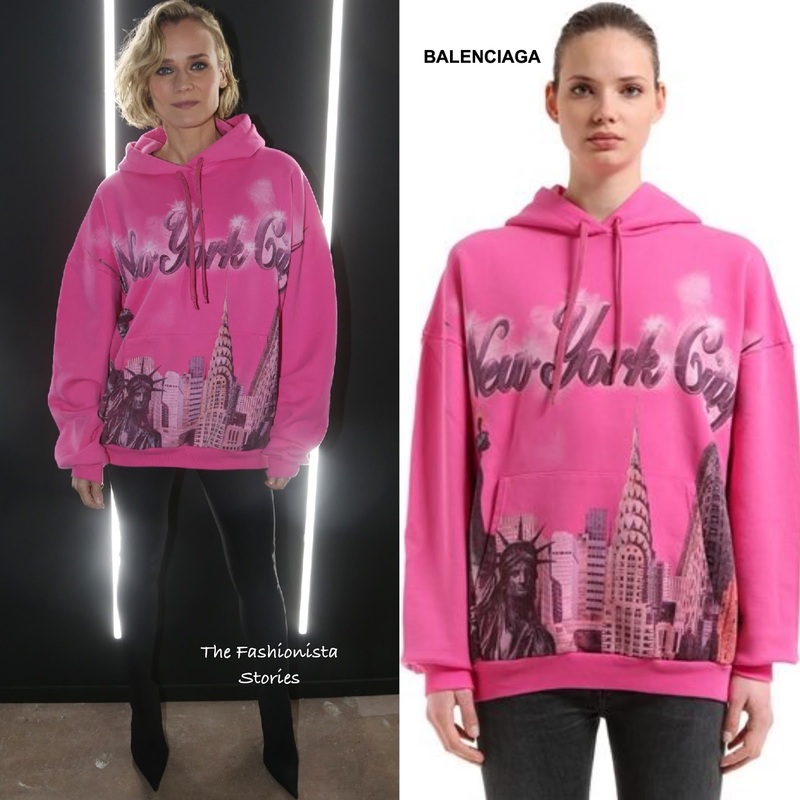 Diane Kruger posed for pictures yesterday(January 17th) at the YSL Beauty party which was held during Paris Men's Fashion Week Fall/Winter 2018-2019 collections in Paris. 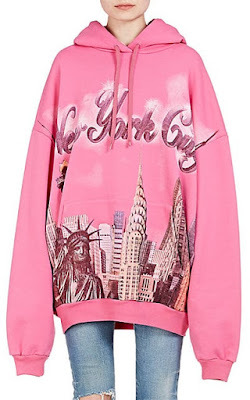 Surprisingly DK ditched wearing a look by Saint Laurent for a look by BALENCIAGA which featured the brand's FALL 2017 pink 'New York City' cotton terry hoodie and black leggings boots. For me, I kinda like this sporty look because it something that I would totally wear. She finished up with a smokey eye and side parted waves. Are you feeling DK's look? You can get Diane's Balenciaga hoodie at LUISA VIA ROMA & BARNEYS NEW YORK.